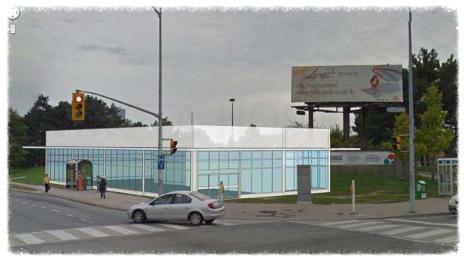 Wynford Green Mixed-use Redevelopment Coming Soon! 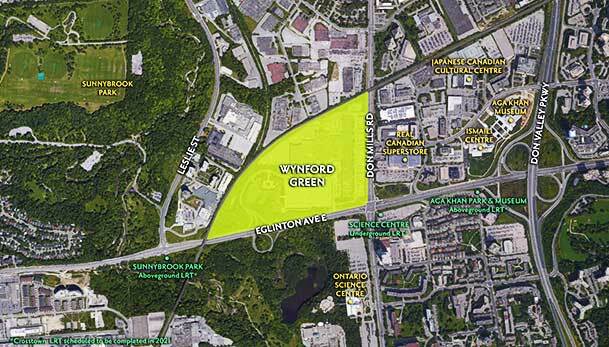 Wynford Green is a new redevelopment of a 60 acre parcel of land located at the north west corner of Don Mills Road and Eglinton Avenue East by three Toronto-based developers: Diamond Corp., Lifetime Developments and Context Development. 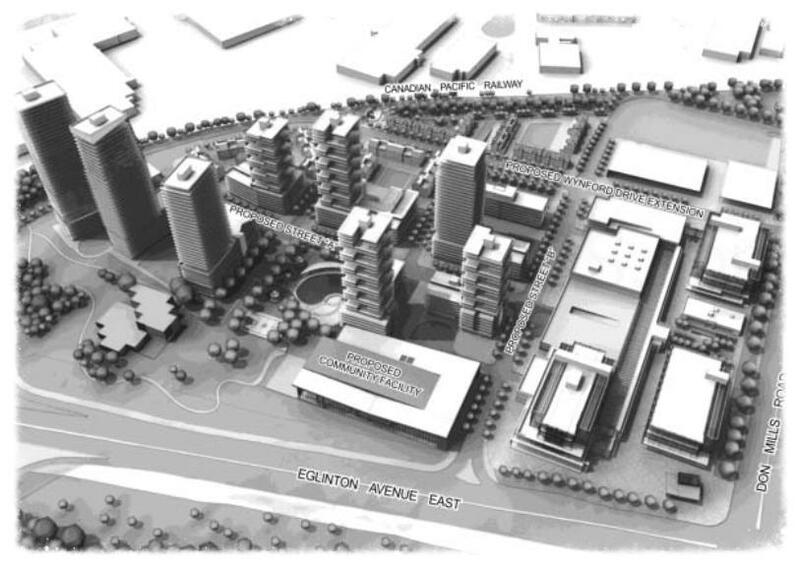 The proposal is for a master plan mixed-use community consisting of office, retail, residential and recreational uses. 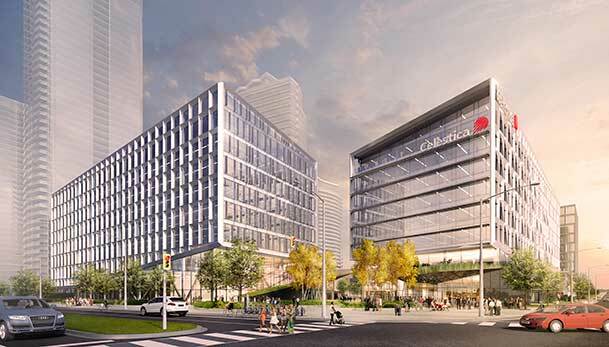 Wynford Green redevelopment is located at 844 Don Mills Road and 1150 Eglinton Avenue East which belongs to an electronics manufacturing company known as Celestica International Inc. 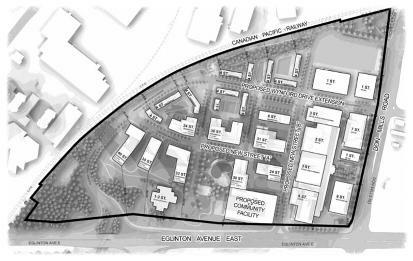 The proposal is to redesignate this area from "Employment Areas to Mixed Use Areas and General Employment Area" consisting of 11,162 square metres of retail use space, 56,248 square metres of office use space, 16,012 square metres of community use space and 3,887 dwelling units on seven proposed development blocks with new public streets. 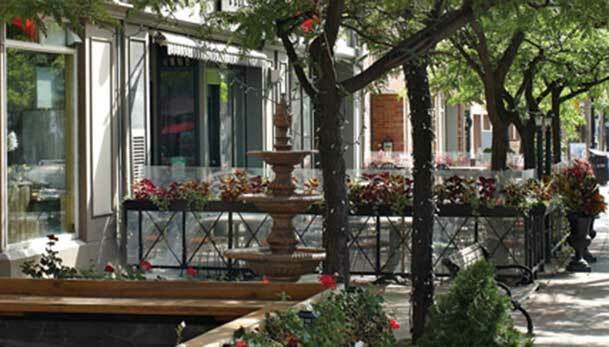 The Wynford Green project would see a split or separation between the mixed-use areas and the general employment areas. 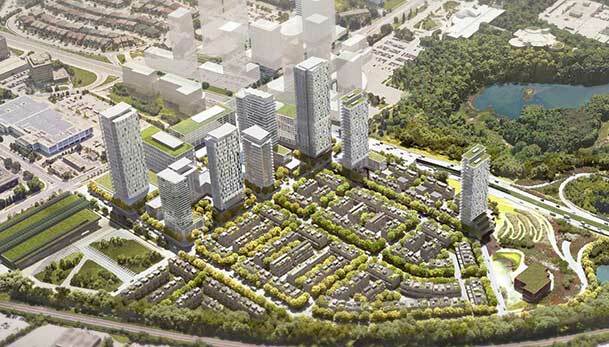 There are eight high-rise residential buildings proposed ranging from 15 storeys to 44 storeys in height situated on the western side of the proposed development site. 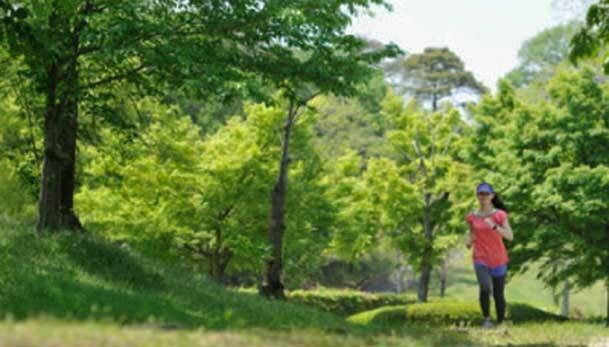 The residential buildings that are situated in the central area of the site will range from 24 to 31 storeys in height. There are also 4-storey stacked townhomes proposed to the northern end of the site where the Canadian Pacific Railway line runs. The proposed general employment use buildings will range in height from two storeys to eight storeys and is located to the east of the site and includes two office buildings and two retail buildings. Total residential gross floor area is 300,826 square metres, total retail gross floor area is 11,162 square metres, total office gross floor area is 56,248 square metres and total institutional/office gross floor area is 7,089 square metres. 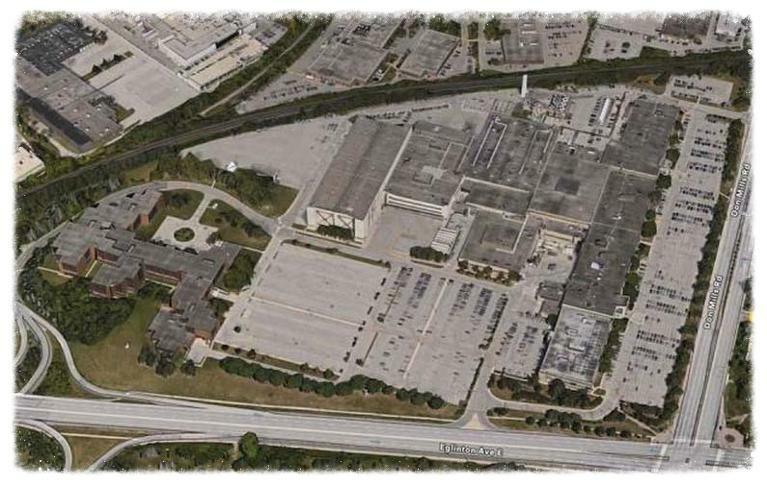 Wynford Green Condos proposal also consists of demolishing the existing 82,498 square metre of office and manufacturing floor space currently located at 844 Don Mills Road. 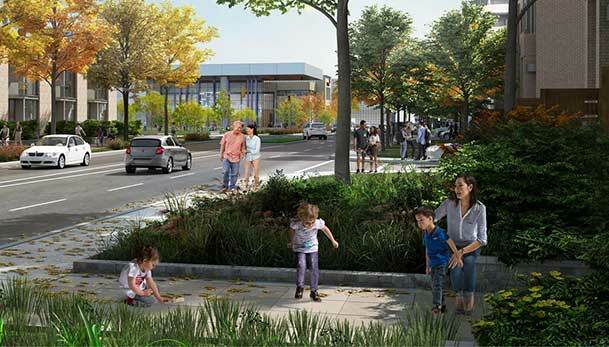 There is also a hockey arena proposed and parking is proposed to be provided below-grade, at-grade and in two parking structures to accommodate approximately 930 vehicles. 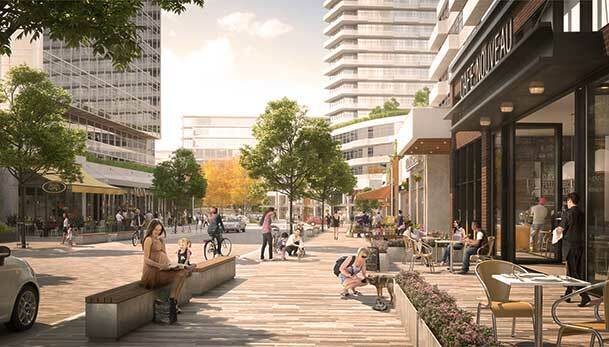 This mixed-use redevelopment proposal is located along the Crosstown Eglinton LRT line that runs 19 kilometres across Eglinton Avenue between Mount Dennis and Kennedy Station. 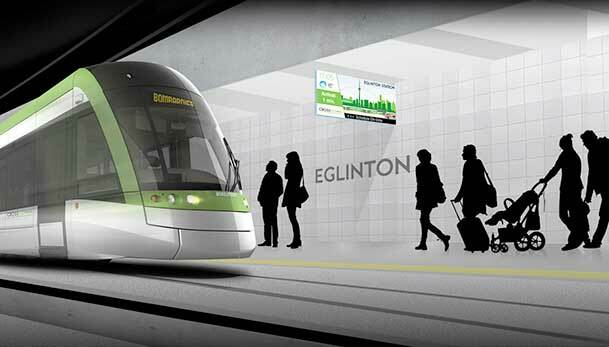 The Don Mills Crosstown station located at Don Mills Road and Eglinton Avenue East will be underground with secure indoor bike parking at this station. There are 25 stations and stops which will link to three subway stations, 54 bus routes and GO Transit lines. Construction has already begun and service is expected to begin in 2021. 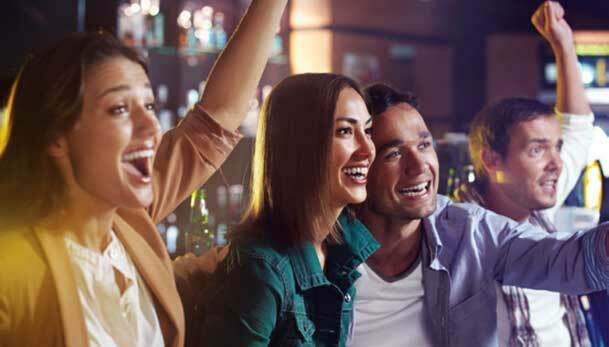 Register with us today for more information on the Wynford Green Redevelopment by Diamond Corp., Lifetime Developments and Context Development! For more information, please register today for the Wynford Green.